I published today on Israel's Channel 10 News the details of a classified foreign ministry report about the Iran protests which was sent to the offices of Prime Minister Netanyahu and to cabinet ministers. Big picture: The Israeli Foreign Ministry report says the Iranian regime was surprised by the mass protest and is now trying to contain it through preventive arrests and crackdown on social media — while trying to avoid violent response against protesters. 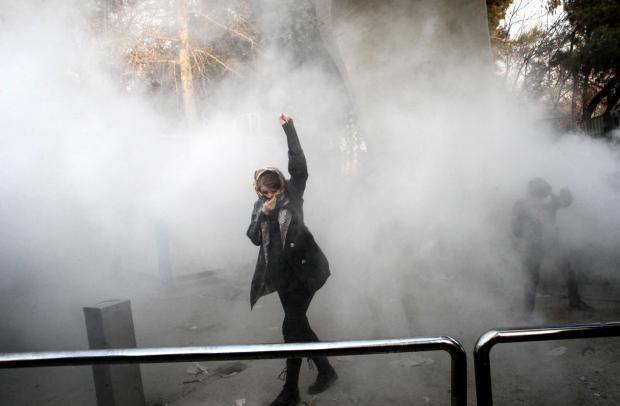 The Iran protests started over economic issues but very fast "took a political and violent turn which included harsh anti-regime criticism over government spending on Syria, Lebanon and Yemen." The analysts wrote: "For now the #IranProtests are not a threat for the regime's survival but they weaken it, damage its legitimacy & if continue it can threaten its stability." The report also said: "The radicalization of the #IranProtests messages & the fact people took to the streets shows in our understanding that the barrier of fear for the Iranian citizen started breaking." Many Iranians fear the Iran protests might lead to chaos like in other countries in the region (Syria), according to the report. We have to assume that both Mossad and the CIA had a hand in this. The CIA of course doing Israel's bidding since Iran is absolutely no threat to the United States. Yep, at this point, the burden of proof is on those agencies to disprove they are involved. The Iranian govt represses the people, has nukes and sponsors terrorism. Let's hope the people's revolt succeeds. Prove it. I concede point 1, but that is every government except maybe Liechtenstein. The US government represses the people, has used nukes, and sponsors terrorism. A new government will not engage in any of those activities?